Microsoft have made strategic investments in interoperability that continues to reap rewards and here’s another big one TODAY with Red Hat. Today, Red Hat has announced the beta of RHEL 5.9 which includes the Linux Integration Services for Hyper-V built-in. (press release below.) The Microsoft press release is here. 1. Driver support: Linux Integration Services supports the network controller and the IDE and SCSI storage controllers that were developed specifically for Hyper-V.
2. Fastpath Boot Support for Hyper-V: Boot devices now take advantage of the block Virtualization Service Client (VSC) to provide enhanced performance. 3. Timesync: The clock inside the virtual machine will remain accurate by synchronizing to the clock on the virtualization server via Timesync service, and with the help of the pluggable time source device. 4. Integrated Shutdown: Virtual machines running Linux can be shut down from either Hyper-V Manager or System Center Virtual Machine Manager by using the “Shut down” command. 5. Heartbeat: This feature allows the Hyper-V to detect whether the virtual machine is running and responsive. 6. Key Value Pair (KVP) Exchange: Information about the running Linux virtual machine can be obtained by using the Key Value Pair exchange functionality on the Hyper-V host. 7. Integrated Mouse Support: Linux Integration Services provides full mouse support for Linux guest virtual machines. Virtualization: Customers can easily run Red Hat Enterprise Linux 5.9 as a guest on top of Microsoft Hyper-V, providing enhanced interoperability in a Windows environment. This enhances the usability of Red Hat Enterprise Linux 5 for guests in a heterogeneous multi-vendor virtualized environment and provides improved flexibility and interoperability for our customers. This is just another example of our commitment to interoperability and providing the best Cloud OS. MAP 7.0 extends its server virtualization scenario to include Linux operating systems. Now, MAP enables you to gather performance data for Linux-based physical and virtual machines and use that information to perform virtualization and private cloud planning analysis for both Windows and Linux-based machines within both the Microsoft Private Cloud Fast Track scenario, as well as the traditional Server Virtualization and Consolidation scenario. Incorporate non-Windows machines into your virtualization planning. View consolidation guidance and validated configurations with preconfigured Microsoft Private Cloud Fast Track infrastructures, including computing power, network, and storage architectures. Get a quick analysis of server consolidation on Microsoft Private Cloud Fast Track infrastructures to help accelerate your planning of physical to virtual (P2V) migration to Microsoft Private Cloud Fast Track. Review recommended guidance and next steps using Microsoft Private Cloud Fast Track. MAP is a free tool available for download from the Microsoft Solution Accelerators Website. 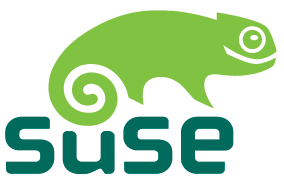 On May 21, at the Open Source Business Conference 2012 at San Francisco, Microsoft announced a new beta management pack that integrates SUSE Manager with the Microsoft System Center 2012. The product will allow IT departments to manage Windows and Linux environments as one. The integration between the two management systems will maintain compliance in Linux server environments, particularly in keeping Linux systems patched and updated, said Fabio Cunha, Microsoft solutions technology evangelist, who gave a demo of the new technology at the conference. Interoperability is also essential in cloud computing environments where servers, storage, networking and software are managed as one complete IT resource, said Sandy Gupta, general manager of the Microsoft Open Solutions Group, which manages Microsoft’s relationships with the open-source community. Additional details about the System Center and SUSE Manager integration can be found in this blog post on the SUSE Website. Here’s a picture of I took on my recent flight on Delta from Atlanta to Dubai. The inflight entertainment system, the little screen mounted on the back of each seat, was running Linux. It froze and rebooted by itself twice during the 15 hour flight. PASH is the open source re-implementation of PowerShell for non-Windows operating systems like Solaris, Linux, Mac, etc and even Windows Mobile. The main goal is to provide a rich shell environment for other operating systems as well as to provide a hostable scripting engine for rich applications. The user experience should be seamless for people who are used to Windows version of PowerShell. The scrips, cmdlets and providers should runs AS-IS (if they are not using Windows-specific functionality). 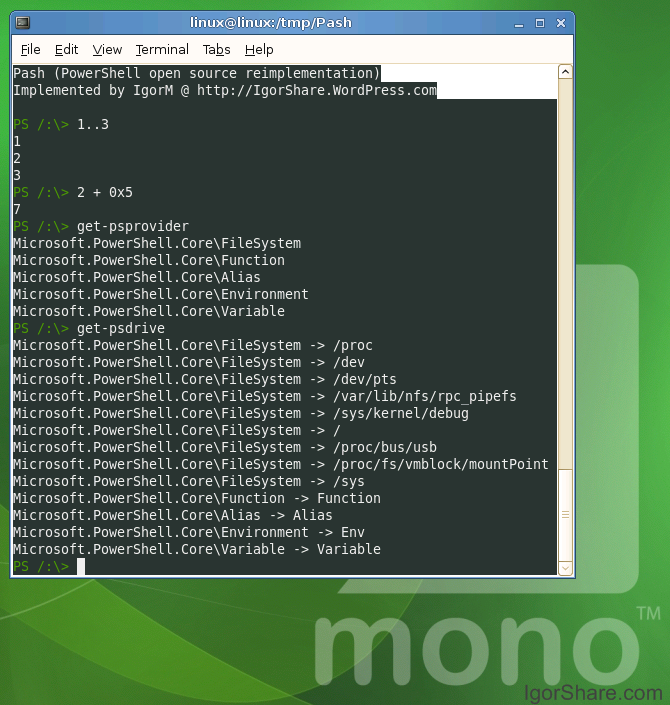 The rich applications that host PowerShell should run on any other operating system AS-IS. Secondary goal: the scripts should run across the machines and different OS’s seamlessly. Check out PASH at Sourceforge. I have added a poll on this blog! The poll question will change every month and the results published. 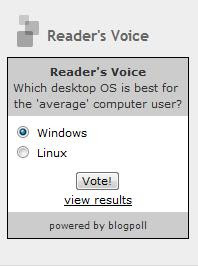 You can find the poll question of the month in the column on the right side, if you scroll further down.